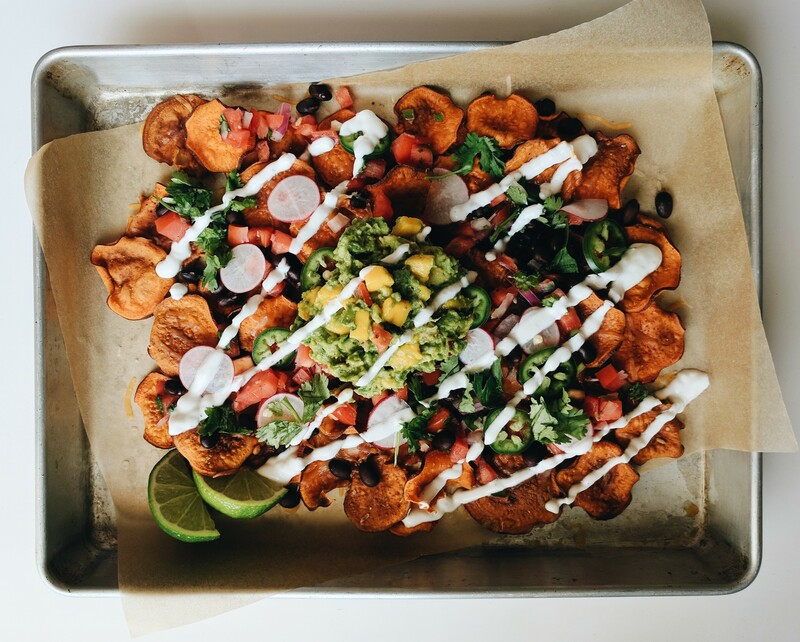 There’s no better way to start the day than with a heaping pile of nachos for brunch. 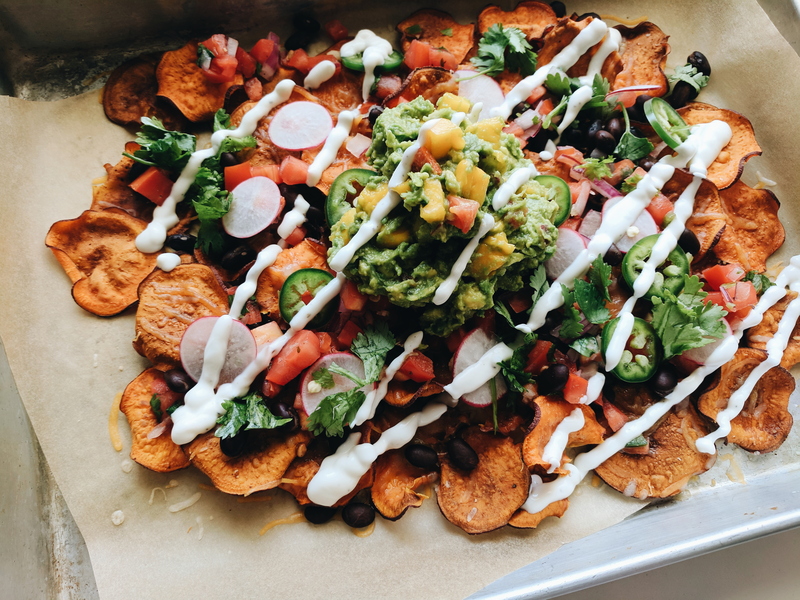 For nachos, these are pretty nutritious, minus the handful of cheese nestled in there. 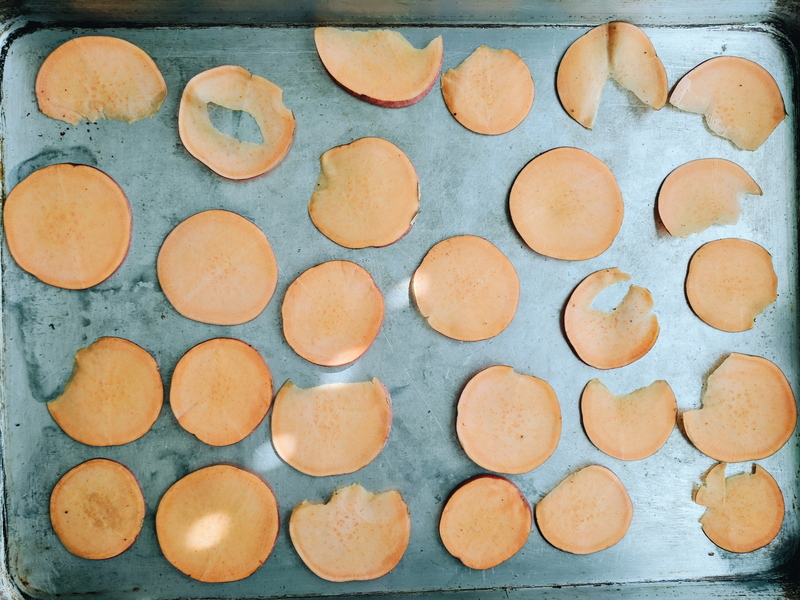 I used a mandolin to thinly slice about 3/4 of a large sweet potato (I used a Garnet yam, who cares?). Too thick and the slices won’t crisp. Too thin and the slices will burn. I was skeptical about using the oven, but this recipe resulted in crispy chips without deep frying. I ended up with only a few burnt or flimsy chips. 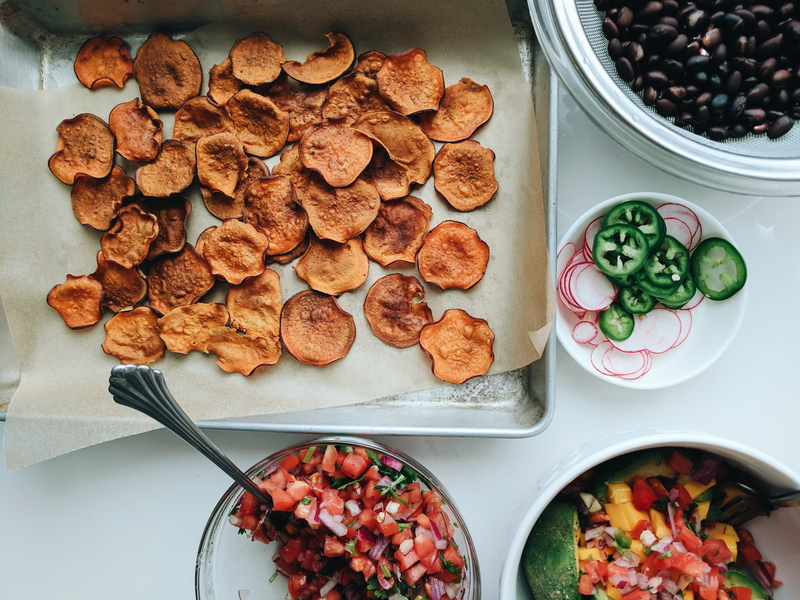 Toss the sweet potato slices in a light drizzle of olive oil, salt, and pepper. Evenly spread out the slices in a single layer on a baking sheet (I filled up two and a half full sheet pans), and bake at 400°F for 20 minutes, flipping the slices halfway. After 20 minutes, I removed the crisp slices from the oven and continued cooking the flimsy ones on a wire rack for another 10 or 15 minutes. After the chips cool and crisp up, melt cheese on top of the chips in the oven. Guacamole: Mash together the avocado, 1 tomato, mango, 1/4 cup red onion, jalapeno, handful of chopped cilantro, juice from one lime, salt, and pepper. Pico de gallo: Combine the remaining 2 tomatoes with the remaining red onion, garlic, cilantro, lime juice, salt, and pepper. Cream: Mix together the yogurt with a splash of apple cider vinegar, a squeeze of lime juice, salt, and pepper.